Aquarium maintenance is the core of fishkeeping. Good maintenance will keep your little friends healthy and requires less work than you might imagine. Just like your home, a clean home for your fish makes them happy and active. What is that you ask? 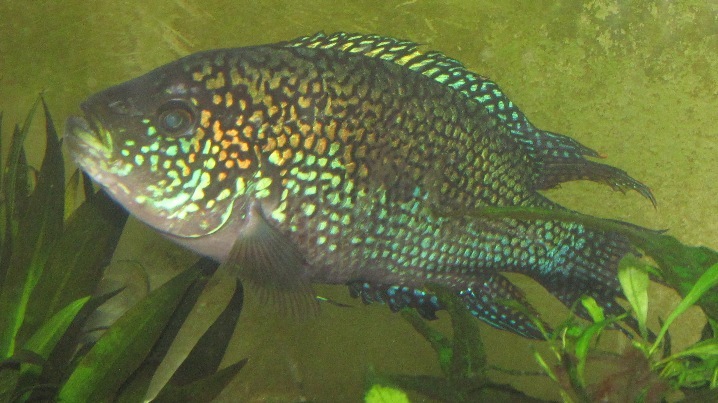 That is Jack Dempsey (Rocio octofasciata). This guy is prowling an aquarium as a cutesy three inch fish, schooling with other juveniles, in a fish store near you. His young disposition is puppy-like and he lightens his color when you startle him. And you, my friend, will probably buy one someday. Just about everyone I know with an aquarium has. And yet again, the friendly high school kid at the fish store forgot to tell you...Jack will grow into a 10 inch, aquarium decoration destroying monster, if he survives childhood. The one you see above, lovingly known as Jack II, is a grizzled 55 gal aquarium vet. He is the survivor of my early endeavors to have an American Cichlid tank, just after I started keeping fish. Jack II is a few years old now and he was the last man standing. That being said, his personality is not what I suggest you train into your fish. Hence, I created a website. Better fish through better knowledge. Remember the graphic above? 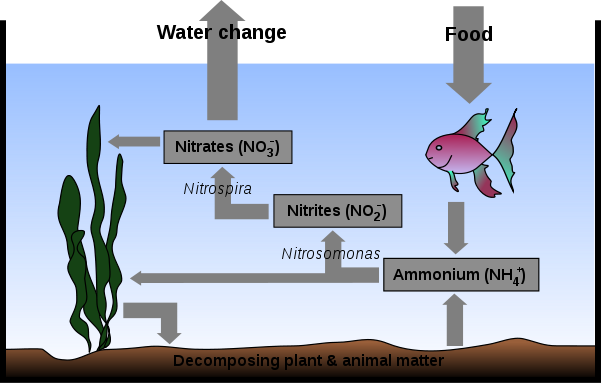 If you have not already done so, go to the Nitrogen Cycle page to begin understaning why you are going to do regular aquarium maintenance. Everything you do to your aquarium affects this important process. Once you have cycled your aquarium and started the nitrogen cycle, a routine of scheduled maintenance should begin. Daily Doing a few simple things everyday will make your weekly maintenance just a bit easier. Weekly Keeping your weekly schedule is the key to a healthy and happy aquarium. Monthly Being faithful to your monthly maintenance keeps your aquarium filtration system working for you and your little friends. Quarterly Maintain your equipment with quarterly maintenance to insure a long service life. Following an aquarium maintenance schedule keeps your aquarium clean and healthy. Getting your hands dirty while taking care of your aquatic buddies is a rewarding experience that shows your little friends how much you care about them. Your aquarium's water quality is extremely important to your little friends' health. Although many tropical fish live in cloudy and even stagnant water in the wild, an aquarium with the same water conditions will kill them. In the wild, pools that look like they are very nasty and full of fish actually have much more water in them than you can put into your aquarium. 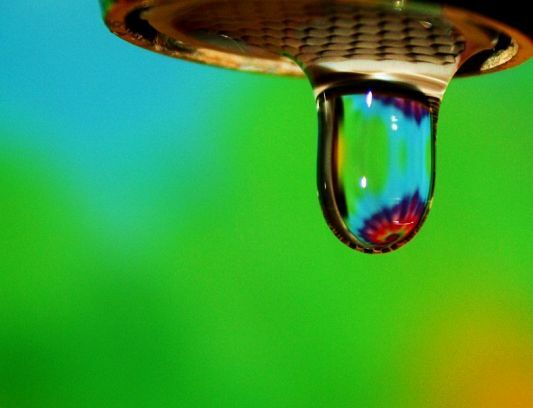 This amount of water dilutes the level of harmuful contaminants in ways that you can only achieve with water changes. Go to the Water Change page to learn how to keep your aquarium water healthy for your aquatic friends. For more information on aquarium maintenance, go to Wikipedia's Fishkeeping page. Do you have a great tip about aquarium maintenance? If so, share it with everyone. Include pictures or graphics if you want to. Your tip will appear on a Web page exactly the way you enter it here. You can wrap a word in square brackets to make it appear bold. For example [my tip] would show as my story on the Web page containing your story.